Two bits of news broke today regarding Honeycomb's first flagship device, the Motorola Xoom. The FCC has gotten their hands on the LTE module bound for Verizon customers' Xooms. With the FCC's seal of approval out of the way it should be no time before customers are alerted of the opportunity to send their Xooms in for the update. WiFi Xoom owners also have something to look forward to as updates are going out to small batches of devices with the latest release from the Android labs. It was just 3 weeks ago that we first caught wind of a new point advance of Google's tablet operating system, Honeycomb. At the time the news was packed into a press release by Huawei announcing their 7-inch MediaPad, and espousing the device's status as the first 7-inch Android 3.2 tablet. Huawei's representatives at the time said that this latest iteration was simply optimized for the 7-inch form factor, though it has to include one other major update to Honeycomb: a new platform. 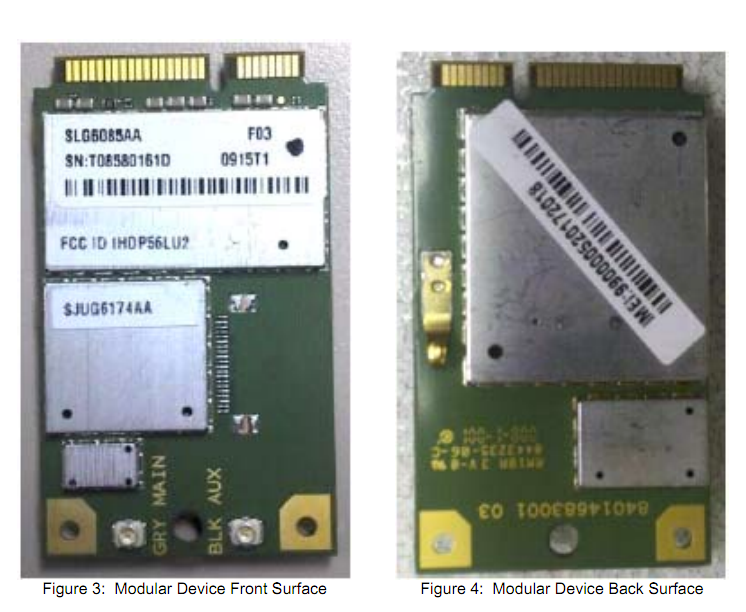 All of the Honeycomb tablets we've seen so far have been, for better or worse, Tegra 2 powered. The MediaPad, however, is powered by a Qualcomm Snapdragon SoC and this would suggest that 3.2 will finally bring Honeycomb to that platform, which should make our tablet performance charts more interesting. Reports suggested that other bug fixes and some performance improvements would be coming with the release; expect to see a few 3.1 vs 3.2 comparisons sooner rather than later. And though it seems to be targeted at 7-inch devices the release was said to be hitting Motorola's Xoom in short order. Yesterday, on the Android Developer Blog we were introduced to another feature that we would be seeing in 3.2; Screen Compatibility Mode. Despite Google's best efforts to educate their developers, at events like I/O, many applications with layouts optimized for small screens have trouble scaling their UI elements when used on tablets. Google is offering an alternative that should be familiar to early users of the iPad. 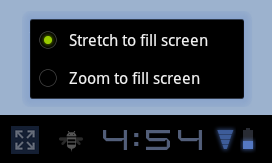 When using an app that is neither optimized for Honeycomb nor extra large screens, a softbutton will be available in the status bar that provides two options. In 'Stretch' mode the app would be displayed at the devices native pixel density; this is the current implementation and can lead to undersized buttons and UI elements. In 'Zoom' mode the app is rendered at approximately 320 x 480 and then scaled to fit the larger screen. The trade-off for properly sized UI elements is a more pixelated experience, and while the iPad's implementation suffers no performance deficit from the scaling it's unclear yet whether Honeycomb devices will pay a performance penalty. All questions will be answered soon though, as Xoom owners are seeing the 3.2 update pushed to their devices. We don't know yet what, if any, performance improvements have made it to the release, but owners will be pleased to discover that their long dormant SD card is now fully functional. Updates seem to be going out in small batches, mirroring the 3.1 release just a few months ago, so if you're reading this on your Xoom, give us a shout when you get it in. Meanwhile, the rest of us will wait with bated breath for the coming wave of 7" Honeycomb tablets, and for updates to be pushed to the rest of the flock of Android slates. When it was released the SD card was disabled... They've gotten it working through custom kernels, but it's not been 'supported' until now.